The Serenade balances support and comfort with progressive body cradling that relieves pressure and tension. 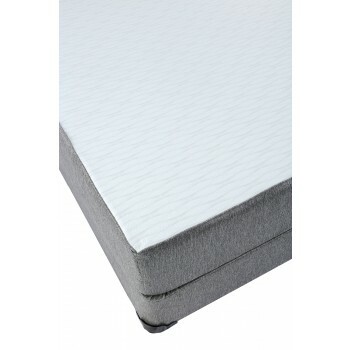 Each layer of the Serenade gets increasingly firmer, allowing the first 3” of our fast-recovery Cool-Gel Swirled memory foam to provide you with a denser, cooler sleeping surface, which gives the ultimate in pressure relief. Each subsequent layer gets slightly firmer to offer the support your body needs for rejuvenating sleep. Our cover features a stretch fabric composed of absorbing MicroTencel fibers, which allows the Serenade mattress to conform while providing a higher level of breathability and medium firm support. More information here.